Lisa has built a lasting reputation as a leading process and operations support specialist with Hunter H2O since February 1998. 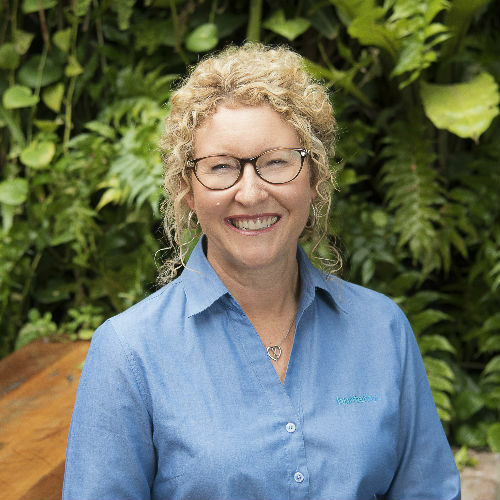 Lisa has over 30 years of experience in the water industry in Australia including ten years in engineering consultancy and twenty years in water utility operational management roles. This mix of roles has given her first-hand experience in building highly effective working relationships with key clients resulting in collaborative treatment related problem solving as well as improved regulatory compliance and cost performance. Lisa’s operational experience includes involvement in Concept and Detailed design reviews, operational input into numerous workshops (eg HAZOP, safety in design, value management) as well as input into treatment plant construction programs, commissioning management, defects rectification and optimisation activities. She has built highly effective working relationships with clients and has a record of collaborative problem solving-for example upgrading Hunter Water facilities within tight space and budget constraints. She builds high performing teams and is equally capable of managing long-term continuous improvement and responding divisively in emergency situations. Lisa and her team have operational responsibility under a contract arrangement for Port Waratah Coal Services domestic wastewater treatment plant. Rigorous safety protocols need to be followed when working on this site and Hunter H2O provide 24-7 response capability for the plant. The plant is challenging to operate as it receives variable quality and quantity of raw sewage depending on the number of people working on site. Hunter H2O has been responsible for recommending and implementing multiple process improvements. These improvements identified through process auditing and BioWin modelling have assisted in improving the reliability of the plant and its licence compliance.